The XIV Catalan Forensic Medicine Update Congress was held in Barcelona’s City of Justice from 11 – 13 December. 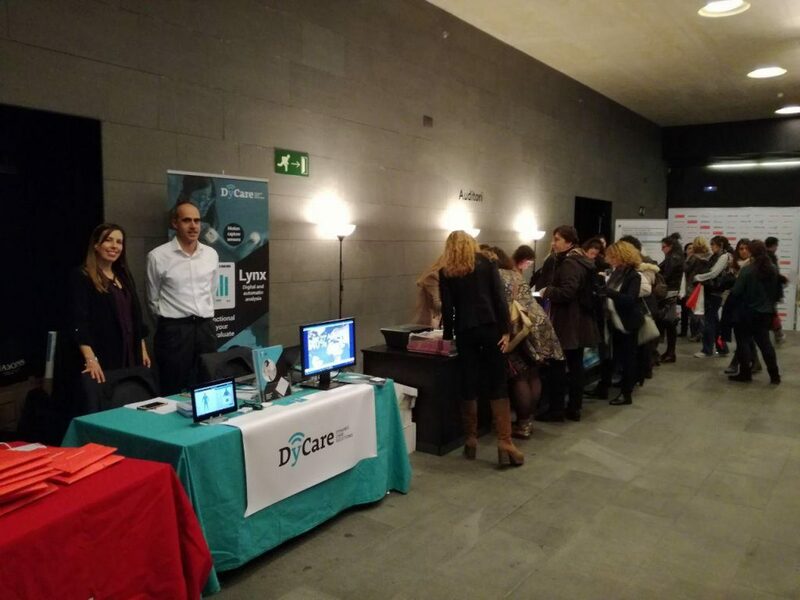 DyCare did not miss the opportunity to present the innovative Lynx device to the more than 200 congress visitors both at its information stand and in a specific workshop. What is the Forensic Medicine Congress? The Catalan Forensic Medicine Update Congress, an event that is held every two years, is organised by the ACMF (Catalan Association of Forensic Physicians) with the purpose of presenting new scientific activities. This year, the Congress focused on matters relating to the assessment of bodily injury, a subject in which DyCare has great expertise, along with toxicology, forensic pathology and forensic psychiatry. The first day of the Congress was dedicated entirely to the Symposium on Bodily Injury Assessment, an area that has crucial implications on all judicial levels when it comes to determining the right to compensation in cases of personal injury. Achieving an adequate evaluation of the harm caused in an objective, quantifiable, reproducible and rigorous manner, is vital in order to rapidly resolve court proceedings in Spain. Forensic biomechanics play a fundamental role in the assessment of bodily injury resulting from assault, road accidents, domestic violence, occupational disability, brain injuries, etc. In his presentation “Clinical-practical utility of biomechanics applied to injury mechanisms in the assessment of body damage”, Dr. Juan Sánchez Montaña, Medical Assessor and Judicial Expert, explained the purpose and importance of carrying out an objective functional assessment using static sensors. He also presented some of the results obtained using the Lynx system, which have allowed a person’s functional limitations to be clearly demonstrated in a trial. The presentation by Dr. Ignacio Bermejo and Clemente Pastor of the Biomechanics Institute of Valencia was the highlight among several other presentations of great significance in the field of functional assessment given at the Congress. Both presentations stressed the importance of using a medically certified assessment device such as Lynx. There is no doubt that the field of functional assessment in forensics is still in its early stages. “We think that the DyCare technology has entered the forensics field to stay and will produce a fast, intuitive and reliable improvement in diagnosis,” declares the company’s Business Developer, Daniel Serra. Follow us on Twitter to keep up to date with the congresses and events we recommend. You can also see the events we will be attending here. We hope to see you at the next one!